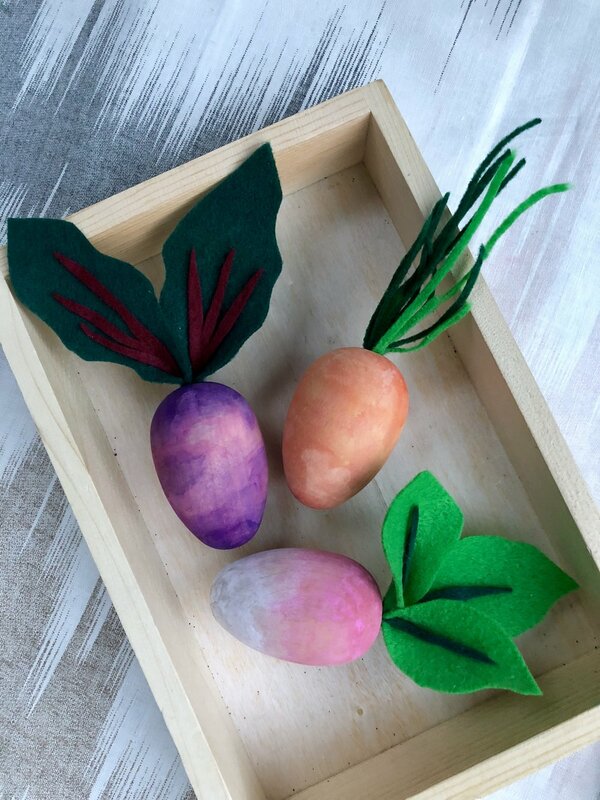 Eat your veggies and craft them too! Carrots and radishes and beets! Oh my! 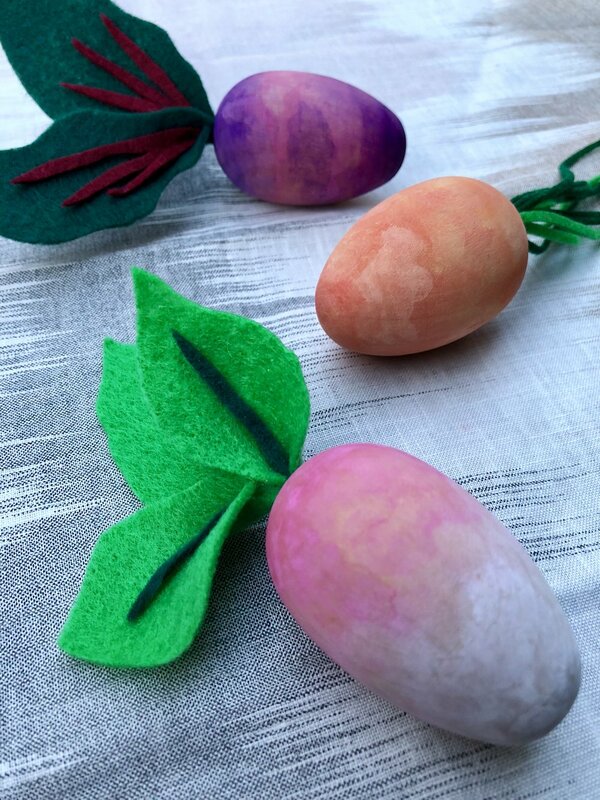 We've been seeing a lot of wooden eggs this year and can't get enough of them. We love their natural look (and almost kept them that way) but what's Easter without painting eggs?! That's like Halloween without carving pumpkins! Roasting root vegetables is one of our dinner go-to's. So, why not pay tribute to some of our favorite vegetables? First, drill a hole in the bottom of each egg for the stems. Second, sloppily paint the eggs with watercolors. We put the eggs in shot glasses to help hold them up while painting and drying. Third, cut leaves and stems out of felt and glue together. Pinch the bottom of the stems together and hot glue into the holes.